"Highly recommend! The best, hands down. It's nice there are still kind people out here. Thank you so much!" "Paul replaced our Central A/C until this week & we couldn't be happier with the job he did! He was a great guy to work with and very affordable. He will definitely be our go to guy from now on!" "Did a great job. Priced well below his competition. We are very pleased with his work looks great and works great"
"Our old heat pump was no longer efficient and reliable and needed to be replaced. 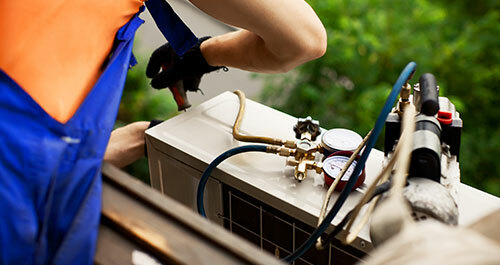 We contacted King Heating & Cooling and they were able to replace our heat pump promptly. Thanks guys!"